New to the IDA bond application process? Find out what and who is involved. The Maricopa County Industrial Development Authority offers a way for private borrowers to receive tax-exempt bond financing. The loan proceeds originate from a bank or bondholders to the borrower; and the Maricopa County IDA, through its authority from the state of Arizona, allows the interest paid on those proceeds to be exempt from federal and often state income tax. Tax-exempt interest means better rates for you, the borrower and therefore, a lower-cost loan. In order to receive a tax-exempt loan, the project must have a public purpose, must be considered a qualified private activity bond as defined by the Internal Revenue Code, and you must agree to the Maricopa County IDA’s Bond Financing Fees. Tax-Exempt bonds for affordable Single-Family and Multi-Family (apartments) Housing. Low-cost capital for educational institutions, healthcare facilities, senior care, community centers, and other 501(c)(3) organizations. Pay for Infrastructure costs with tax-exempt bonds. 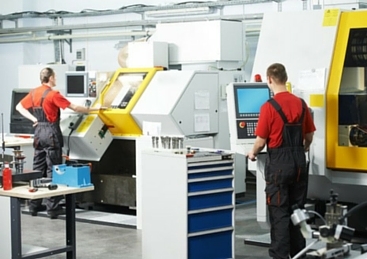 Save money on your manufacturing facility with lower interest rates. Coffelt-Lamoreaux, LLC is using $25,000,000 in Maricopa IDA bonds as part of its $44,000,000 renovation of the historically significant Coffelt-Lamoreaux Public Housing Development located southwest of downtown Phoenix.